Anger that flares up all the time and spirals out of control can be disruptive in many ways to both the person with anger issues as well as those surrounding him which could be family, friends or workmates. The emotion of anger itself is actually healthy contrary to what people think. So just for the record, it is ok to get angry. However, when that anger manifests as outbursts of rage repeatedly putting yourself and other people in harm’s way, then you may have an anger problem. There is a consolation if you want to learn how to manage your anger. There are a few tools out there that may help you tame the beast within. With insight into the real reasons why you get angry in the first place, you can begin to understand and learn how to control that anger for your own benefit and those around you. If you are hot-tempered, the situation is not necessarily out of your hands because usually, you have more control over your anger than you actually know. Whereas it is perfectly normal to feel the emotion of anger when you have been treated unfairly, wronged or aggrieved by a situation, it does not make it any less wrong if you react in a manner that harms others or yourself. It is vital that one learns to get that anger under control because it can escalate to actions that one would live to regret. How to use essential oils for anger? We are all made the same in terms of physiological function, but what differs immensely are our personalities and philosophies. Our religious, cultural and even political viewpoints culture us differently so it is understandable that one man’s meat may very well be another’s poison. What upsets you mildly or not at all may be tantamount to blasphemy for someone else. So it doesn’t hurt to try and respect or at least tolerate people’s cultural, religious and political beliefs whatever side of an issue you might find yourself on. With that said, let’s have a look at some of the things that attack your happy mood. One of the things that can get in the way of your success is anger and aggression. By venting your anger in outbursts of rage in the form of fist fights or hurling verbal abuses, you might feel justified. You might even feel that you gain respect by showing your fury. But in truth, by doing so you are displaying impaired judgment for all and sundry to see. Domestic violence, physical fights at the workplace and such become what you are known for overshadowing your talents and capabilities. Some people have a short fuse and like a dynamite stick with a short fuse, they reach their threshold for explosion very quickly if the right buttons are pushed. If you are aware of your problem then it becomes possible to interrupt the process of your short temper or anger culminating in a different outcome that is not violent. It could be counting to ten or going for a long walk before you act. ADHD is an acronym for Attention Deficit Hyperactivity Disorder. This condition is a trying disorder for parents who have a special needs child. It is marked by an ongoing pattern of a diminished capacity to keep attention and/or hyperactivity-impulsivity. Although a parent has all the patience in the world for their child, this disorder can truly test your patience to the limit. It is such times that having a way to relieve the strain for a parent can be of great help in coping. When we are faced with a tough situation in life like losing a spouse, a job, or a huge chunk of money on a deal gone sour it is not improbable to have high levels of anxiety and even sink into depression. The cloud that hangs over may seem impossible to lift but all hope is never lost. This can quickly degenerate into fits of rage. When someone has been diagnosed with chronic anger issues they clearly need specialized medical attention and programs that address the underlying problems causing the anger outbursts. Although essential oils cannot be a substitute for professional medical treatment where needed they certainly can have an impact on helping deal with anxiety, depression and anger. There are those essential oils that promote limbic health. Amongst the many functions of the limbic system is controlling emotions like anger, fear aggression or violent behavior as well as controlling the autonomic nervous system such as blood circulation and pressure, breathing and arousal just to name a few. In aromatherapy, essential oils scents when inhaled enter the olfactory system and impact the amygdala in the limbic system which affects mood and emotional responses. Essential oils can be used topically by applying to specific areas like the chest for respiratory problems, back of the neck for clearing congestion, on the temples for alleviating headaches and on the skin for natural skin nourishment. For topical application, it is important that they are diluted with a carrier oil to avoid skin irritation. By adding a few drops of your favorite essential oil into your bath water can enjoy so many natural healing benefits. Chief among them is the sweet relaxing aroma that calms your mind and body as well as nourishing your skin. A diffuser is a great option for infusing a beautiful fragrance to a given space like your living room, bedroom, office, baby room or your car. Essential oil fragrances can brighten your mood as well as impart a host of other healing benefits. Not all essential oils are safe for ingesting. Some specific essentials oils for specific ailments can be ingested to aid with the bowel movement or stomach upsets. Consult with your doctor before ingesting any essential oil and only use food grade essential oils for cooking. Orange oil has an amazing fragrance that is mood altering and helping you feel calm even if you happen to be agitated. The uplifting fragrance of orange oil helps in an alleviation of anxiety. It can be diffused in your car diffuser, in the home as well as added to bath water. A few drops in your favorite lotion will help you carry the scent all day long for its calming and lifting effects. Lavender has a very soothing and calming effect when inhaled directly from the bottle or rubbed behind the neck. It helps release frustration and angry feelings by boosting and altering your mood for the better. Adding a few drops to the bath can make a difference to your sense of well being during the day and actually help in how you conduct yourself and react to negative stimuli. Other uses of lavender oil include reducing indigestion, alleviating nausea, lowering blood pressure and so much more. This oil is among the three oils extracted from the oranges tree. As we know, orange oil is extracted from the rind of the orange fruit, while neroli oil is derived from the flowers of the orange tree. Petitgrain is extracted from the leaves and twigs of the tree and has a woody and uplifting refreshing scent. This is a powerful oil in helping nervous exhaustion and stress-related conditions particularly anger and panic. This oil has an amazing calming effect on crying babies and helps in bringing a calming effect when enraged. It can be rubbed on the throat for its natural soothing and calming properties to take effect. Parents no longer need to be frustrated or deal with frayed nerves or quick flashes of anger. 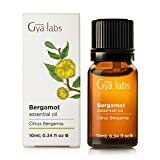 The scent of bergamot oil is deep and soothing. It is also very calming and helps build a sense of well being around you helping in deterring raging feelings and emotions that are usually the beginnings of anger outbursts. By interrupting and altering your mood it can help in how you react to situations in a calm manner as opposed to an anger outburst. By infusing a few drops of this essential oil in your bath or in your lotion, you can enjoy this scent for the better of the day. It can also be directly applied to the skin if diluted by a carrier oil. Patchouli oil is known for inducing a sense of peace, calming and enhancing relaxation. Its fragrance works very well in reducing feelings of depression and can serve to help lift you out of a depressive cloud. 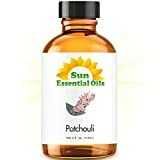 Patchouli’s aromatic scent can be sniffed directly from the bottle, or add a few drops to your bath. When diluted with carrier oil it can be applied topically so the scent stays with you the whole day. Vetiver oil has numerous benefits. The most popular ones are its ability to induce calm sleep. It is also effective in bringing calm to crying, anxious, and angry children and has been found to help in cases of reducing hysteria. The calming uplifting fragrance of vetiver oil can be inhaled directly from the bottle, used in a diffuser, infused in lotions as well as added to the bath to help relax you. This can have a significant effect on your well being and mood enough to alter your reactions in aggravating conditions. If your anger and rage are as a result of PMS applying ylang-ylang oil to the lower back can help. This oil can be diffused or applied to the feet for calm. 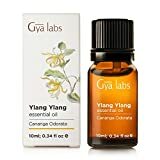 Ylang ylang oil can also be used for lowering blood pressure and releasing frustration. This is an inspiring oil with a woody undertone. Palo Santo tree from which the oil is derived is also referred to the “sacred wood” as it has been long revered for it’s purifying powers. Amongst its many uses is its ability uplift your mood and strengthen vitality making one of the oils that apply to aiding in anger management. It can be useful in slowing down the overactive mind and will induce peacefulness and tranquility. It can be applied topically after diluting with a carrier oil or sniffed directly from the bottle for that uplifting woody aroma. A few drops into your bath will help with your mood and relieve any tension or anxiety. Individual essential oils are powerful enough by themselves but mixing a couple of oils together can accentuate and compound the healing properties of each due to their diversity in terms of the constitution. Mix together and apply topically right before you start your day. Mix the oils together and place in a small vial. You can sniff them periodically to boost your mood throughout the day. Mix the oils and place the blend in your bath water. The scents are enough to calm you and help you deal with stress better. Anger is a normal reaction to situations that are not pleasing. It is what the anger results in that can be a huge problem to oneself and those around them. However, by learning the triggers of debilitating anger and with the help of medical attention you can come around to learning how to control that anger as opposed to letting the anger control you. Essential oils are but one of the tools that may prove helpful in instilling a calm, positive mood and a sense of well being that plays a huge role in anger management.